Well you did fine golftrader , i always say a win is a win 3/3 is a great start. i usually stop trading on Friday by 12 pm east coast time no later than that. So have a great week end . Ok, so I got stopped out in profit. I made 1.2% profit on this trade however I think theres so much more potential for this to go down. I placed a trailing 30 pip stop this morning and the price shot up and took me out within minutes only to go back down again. Perhaps didn’t manage this one well but 3/3 small wins to start the demo account I guess is not bad. Comments on how you guys manged it welcome. Now that’s a nice post! Thank you OP, for the great work. EURGBP is nearly completing a mean reversion today. I’m using 20 and 10 EMAs at the Daily chart. It’s approaching a potential swing level (previous resistance). A good bullish reversal signal at the swing level that’s reinforced by a bullish mean can mean a nice bullish rally. A god SL spot is below a bullish reversal candle at the potential swing level. Time to show our old thread some Luv. Price failed to dip into a lower low. How can you say no to this beautiful long pinned pinbar. I am a newbie to forex, recently I read the first long page of this thread and i really get a lot of stuff from there. base on what i learn, I think that’s a strong obvious PB on your daily chart there, the price hopefully will go up, considering the trend is down trend and if you go long it will be counter trend and it will be B+ setup. actually I did take this trade as well. 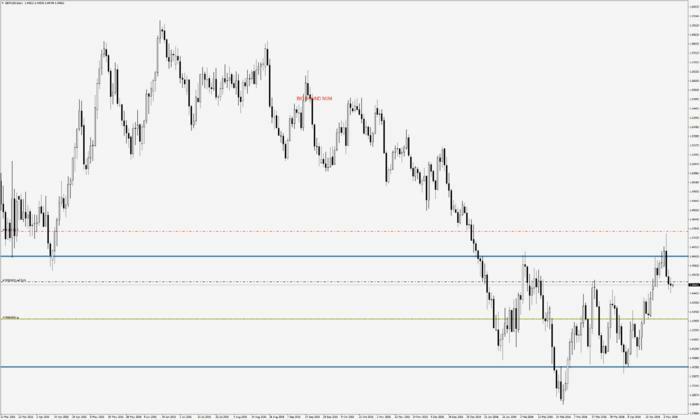 the price has moved up, hit my first TP, then I move my SL to BE, hope it will hit my TP2. I notice there is a big round number at 1.4300 so I set my TP there. I could set my TP at blue Support line, But Base on my risk% I only can trade 0.01 lot, 0.01lot is the smallest number, can’t separate it into 0.005, so only 1 TP I can get. You may use fxtrade trading platform. Oanda. You can go below 0.01 lot. For fxtrade oanda platform , for my account margin of 3000usd. 1000unit is 0.01 lot . if you want 0.005 lot , i am able to downsize it to 500 unit. Please take note mt4 cannot go below 0.01 lot for oanda. But fxtrade can. As their measurement isn’t on lot but units . Thanks for the information, I will remember it. below is NZDCAD on daily TF. I found an obvious BP, and also at a good key line, it has space for price to go up, yet it is counter trend, what do you think? Well raylpz88 the chart is showing a solid down trend in the daily, now you need to see if its also showing a down trend on the 1 hr and 4hr and if it does, your good to go. If you go in , you want to know how many pips you want to make and don’t forget to place a S/L. 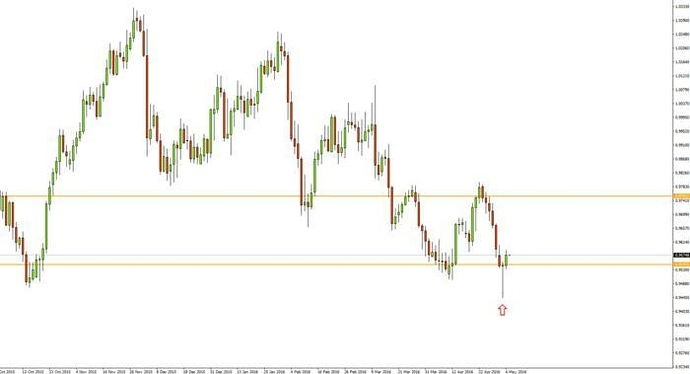 thanks for comment, do you trade with price action method as well? if yes, how does it work so far? I do use price action , just start with the BASICs and as you learn more about it, you will Taylor it to what you like. I combine it with with a few indicators , Rsi,stoch,cci and i also you 5,10,20, exponential moving averages R/S. . I look to see what pairs are strong ,also look at the news coming out and i usually trade the Europe ans New York markets.There are no short cuts to make money in anything you do, you must read and try deferent things until you fine what works for you. where do you learn price action? did you read the first page of this thread? I did read the whole first page and use it (no combination with other system or method) on demo account, so far I won three times in row without any lose. just wonder if there anybody also following this method and how it goes? Hi raylpz88 i have been trading well before this thread was here, and i went threw all the mistakes i have made during that time , i have learned allot and i did read the first pages here.I go back to 2009 well before this thread got here, and many of the good thing that he points out i was already doing. You have made three good trades with price action and that is great, you will do fine with it. I can say that price action to me is the most simple way to have a great future here. thanks a lot tony, you make me more confidence with this price action and i am going to master this price action as you said it is a good start to great future. raylpz88 just go slow and steady , no greed, be patient and always have a plan for each trade, your going to do fine.